MILAN, March 20 (Reuters) - Italy is looking to help its fashion industry with a plan that includes tax credits and access to funds for companies feeling the strains of the global economic crisis. The industry warns its members risk "falling to pieces", with small companies being the hardest hit as demand for clothes and accessories falls. Industry Minister Claudio Scajola met on Thursday March 19 with industry representatives, who are seeking aid for the clothing, textiles, leather and shoes sectors. The plan includes tax credits for the production of new samples and collections, the ministry said. Sistema Moda Italia (SMI), which represents the textile and clothing industry, said it also included 50 million euros ($68.47 million) in funds for products that meet health and environment standards and another 120 million euros to help meet specific costs. "The proposals ... go in the right direction," SMI head Michele Tronconi said in a statement. Other requests concerning social subsidies for laid-off workers would be made to the Welfare Ministry, he said. Scajola said the objective was to "safeguard a sector that is fundamental to the Made in Italy (manufacturing industry) and to create conditions to allow its companies to be more competitive in international markets when the crisis ends". The initiative comes as the government pledges a fund for more than 1 billion euros to help small- and medium-sized business. 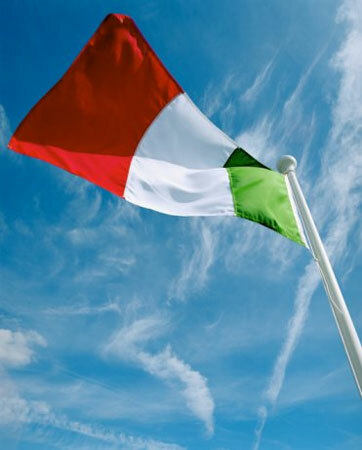 Italy's textiles and clothing sector is known for its "Made in Italy" reputation for quality. But it has in past years been hit by job losses and bankruptcies due to competition from Asia. The industry is made up of 60,000 businesses, SMI said. IT Holding (ITH.MI), which owns the Gianfranco Ferre brand, has gone into special administration, with government-appointed commissioners having six months to draw up a restructuring plan. The growing pain of the crisis was also felt on the catwalks of New York, London, Milan and Paris at the recent fall/winter runs, with fashion houses, particularly smaller ones, cutting back on catwalk expenses. Others pulled shows altogether.